Chances are you probably have a bottle of vinegar sitting in your pantry right now. Vinegar consists of 5 – 20 percent acetic acid, water, and various trace chemicals. The main uses of vinegar are cooking or pickling, however, white vinegar is also the key ingredient for excellent general household cleaner recipes. Whether your pantry only holds distilled white vinegar, or you have every variety of vinegar made, you may be wondering, does vinegar go bad? To start, let’s explore what vinegar is, exactly and how it is made. The acidic liquid is created through the fermentation of ethanol alcohol. Bacteria are used to break down, or ferment, the ethanol into several byproducts, one of which is acetic acid. The acetic acid is what makes vinegar unique. Along with the acetic acid, vinegar contains other substances like minerals, vitamins, and other flavor compounds. It can be created using a variety of different ingredients that lend to each type of unique qualities and flavors. The specific pH of vinegar varies, depending on how much acid it contains. However, the commercial distilled variety that is available at any grocery store has a pH of between 2.40 and 3.40. You can measure the pH of vinegar with a pH strip, which you can find online or at your local drug store. What is the “Mother” of Vinegar? The “mother of vinegar” is the original bacterial culture that is used to begin the fermentation process of the ethanol. It is a slime-like glob of cellulose that forms in the vinegar and is usually killed during the pasteurization process when the vinegar is heat-treated. If you look at any container of vinegar, you will see a “best before date,” or expiration date. This can be a bit confusing, since, according to a study conducted by the Vinegar Institute, the shelf life of vinegar is indefinite. While vinegar will not go bad, its acidity level will change over time. Once you’ve passed the expiration date listed on your container of vinegar, one of two things happens to cause the acidity level to decrease. First, water is absorbed into the vinegar over a period, diluting the concentration. The dilution of the product causes a reduction in the acidity of the vinegar. The second reason the acidity level of the vinegar may decrease is due to the decomposition of the acetic acid over a period. 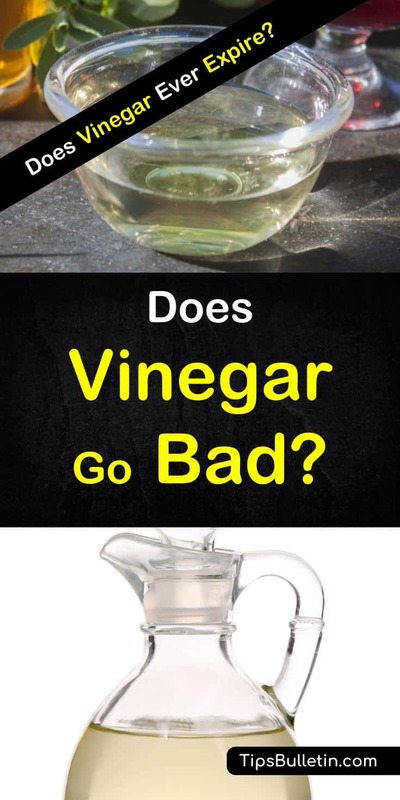 Are You Able to Tell if Vinegar is Bad? While vinegar has an indefinite shelf life, it can still alter in appearance and strength after five to ten years. If you use white distilled vinegar, it will remain unchanged for an extended period and can still be used safely beyond any date. Other types of vinegar, including apple cider and red wine vinegar, may develop sediment, cloudiness, or change in color after a period, because of the added flavor and coloring that is often added during processing. This does not mean that the vinegar has become harmful and must be thrown out, it just means that it will be less acidic and may have a slightly different flavor. How Should Vinegar Be Stored? Due to its acidic nature, vinegar does not need to be refrigerated and is self-preserving. It is best to keep it in its original, airtight container and keep it in a cool, dark area, and away from sources of heat. The best place to keep vinegar is in your pantry. You want to avoid storing it next to your dishwasher or stove as the constant change in temperature can cause the acidity to deteriorate faster. Most people are familiar with the white distilled vinegar that can is available at any grocery store. White or distilled vinegar is the most common type of vinegar, and is made from either, grain-based ethanol, or is produced in a laboratory using acetic acid and water. It is perfect for pickling or cleaning around the house. We have also used white vinegar in the laundry to remove any static and neutralize any scent. White vinegar has a shelf life of between five to ten years before it starts to lose its acidity and flavor. Apple cider vinegar (ACV) comes in second, in regards to how common it is in the United States. It is light-tan in color and is produced using apple cider. The cider gives the vinegar a tart and fruit flavor when used in cooking. It is best in dressings, salads, condiments, and marinades, and most general cooking needs. This can be either white or red and is made using a blend of wines. It is more common in Europe and is often infused with herbs, both fresh and dried, or fresh berries to bring in extra flavor when cooking. Cooks often flavor red wine with raspberries. Higher quality wines that have aged for several years in wooden casks create better tasting vinegar. What is sherry vinegar? This variety of vinegar is produced with sherry wine and is usually manufactured in Spain, and exported around the world. This kind of vinegar is brown and is often sweeter than the wine vinegar. Champagne vinegar is a specialty vinegar that is made from champagne. It is much sweeter than white wine vinegar. It has a delicate flavor and is pale in color. It is more expensive than most vinegar and is perfect for bringing out the sweetness of melons, fruit, and berries. Born in Modena, Italy, balsamic vinegar can be either traditional or commercial. Traditional balsamic vinegar has a long history and follows well-developed customers for its production. It is aged in casks made of various woods for at least six years. This process gives it a rich, sweet, subtle, woody flavor. Commercially made balsamic vinegar is what is typically available in grocery stores. Its production isn’t regulated, and there are no requirements when it comes to how it is aged, making it more affordable and more widely available than the traditional variety. Both kinds of balsamic vinegar are perfect for both salty and sweet foods. Originating in Japan, rice vinegar is essential to the preparation of sushi. It is clear or pale yellow and made from the sugars that are in rice. It has a clean, mild and delicate flavor that is ideal for foods that need additional sugar. East Asian Black Vinegar is a type of rice vinegar that is popular in China. They make it from rice, millet, wheat, sorghum or a combination of the four. Some contain spices, added sugar, and caramel color. It has a malty flavor and is inky black in appearance. Malt vinegar is a favorite in Britain and is dark-brown in color, reminiscent of a deep-brown ale. They produce it by allowing barley kernels to germinate, which allows enzymes to break down the starch. The collapse of the proteins produces sugar. They then brew the kernels into a malt beverage that contains alcohol. Bacteria is then added, converting the ale into vinegar, which is then aged. It is excellent for pickling and is often used to accompany fish and chips. They produced cane vinegar from sugar cane and is used primarily in the Philippines. It is light yellow and is similar to rice vinegar in flavor. Beer vinegar is popular in the Netherlands, Austria, Bavaria, and Germany. It has a light golden color and is produced from beer, giving it a sharp, malty flavor. The flavor of the vinegar depends on the brew that is used to produce the vinegar. A staple of Southeast Asian cooking, coconut vinegar is created using the sap from the coconut palm. It is a white vinegar that has a sharp, slightly yeasty flavor. Thai and Indian dishes rely heavily on coconut vinegar for its flavor. Raisin vinegar is typically produced in Turkey and used in a variety of Middle Eastern dishes. It is made from raisins, and it is cloudy and medium brown in color. The raisins give it a mild flavor. This type of vinegar is produced in the Philippines, and they make it be fermenting the sap of flower clusters from the nipa palm. It is citrusy in flavor and has a distinct, musty smell. Its pH levels are slightly higher than distilled white vinegar and sit between five and six. This vinegar is becoming more popular due to its claim of promoting a healthy digestive tract. They make Kombucha from the symbiotic culture of bacteria and yeast known as kombucha, which produces a complex group of nutrients. You can flavor it by adding blackberries, strawberries, blueberries, or mint when it first begins the fermentation process. Due to its acidic nature, vinegar can provide you with some benefits. However, if taken in large amounts, it can be harmful. You can damage your intestines and stomach if you drink significant amounts of vinegar, eventually burning a hole in your belly. Typically, you can consume about two tablespoons of vinegar, diluted in a quart of water, lowering the chances of damaging your stomach. For a relatively inexpensive product, vinegar has numerous benefits, from adding flavor to your food to cleaning your home. 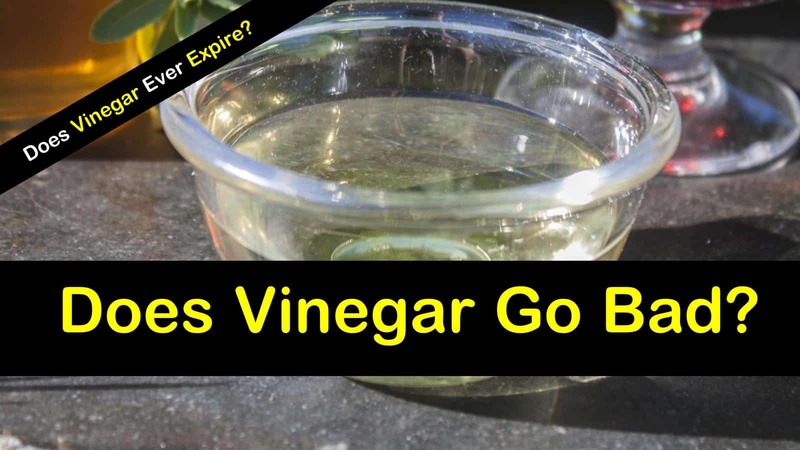 The great news is that vinegar will never go bad, allowing you to store the product for years. Whether you plan on making delicious meals or cleaning your house, vinegar in all of its beautiful forms is the perfect product to have on hand.